A Prototype puzzler about baking bread, created for A Game By It's Cover 2018. It is based on this 'my famicase' by Louistrations. It's highly encouraged to just play this and try to figure things out. But in case you get stuck here is a brief explanation. Bread is created by combining the main ingredients Water and Flour. For bread to be delivered (dispersal and generate points) it must reach the bottom row of the board. 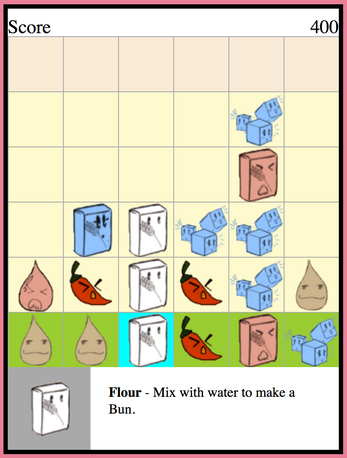 Sugar, Chilli and Chocolate will add flavour to Flour and Water. 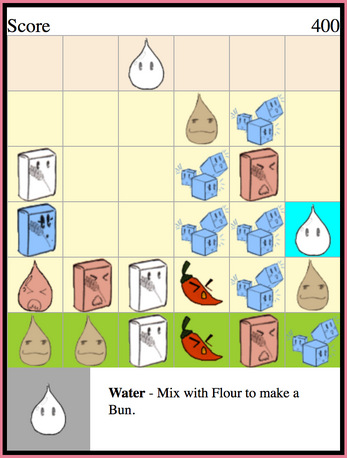 Flavoured Water and Flour will only mix if they have the same flavour or if at least one of them is still neutral in flavour. This is an open source game. Source can be found on github. 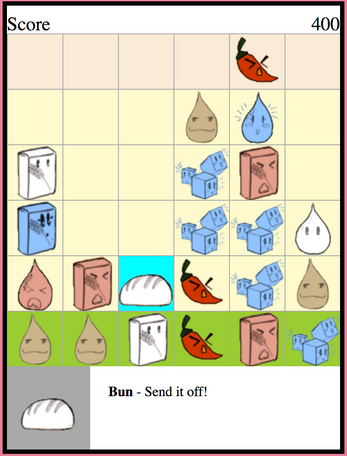 If you have an idea for how to take the game, please describe/discuss it in an issue before you start implementing. 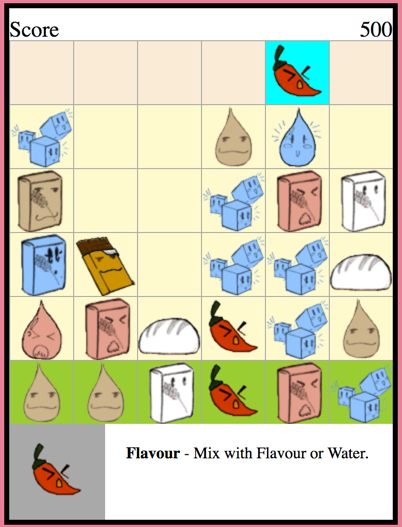 This is an open source game created in the Elm programming language in the hope that it will encourage more game developers to explore game creation in functional languages.